Immature Red-tailed Hawk, Boxborough, 17 November 2015. Photo © by Susan Page. Red-tailed Hawks. Photo © by Susan Page. Hooded Mergansers. Photo © by Susan Page. Belted Kingfisher. Photo © by Susan Page. Cedar Waxwing. Photo © by Susan Page. Robin Posing, Acton Arboretum. Photo © by Susan Page. Juvenile Redwing Blackbird. Photo © by Susan Page. American Goldfinch. Photo © by Susan Page. Eastern Kingbird. Photo © by Susan Page. Downy Woodpecker in 2010. Photo © by Susan Page. Scarlet Tanager. Photo © by Susan Page. Gray Catbird. Photo © by Susan Page. Gray Catbird and Scarlet Tanager. 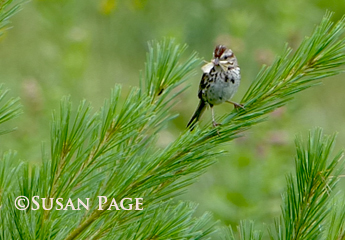 Photo © by Susan Page.